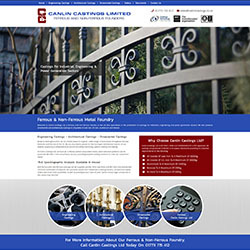 Welcome to Canlin Castings Ltd, a ferrous and non-ferrous foundry in the UK that specialises in the production of castings for industrial, engineering and power generation sectors. The websites creator or author is Created by getyouonline.co.uk. 10. 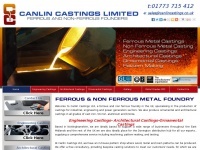 Can­lin Castings Ltd /. The web server used by Canlincastings.co.uk is run by Compuweb Communications Services Limited and located in Great Britain. This web server runs 6 other websites, their language is mostly english. The Canlincastings.co.uk websites were developed using the programming language PHP and served by a Apache server. The website uses the latest markup standard HTML 5. The website does not specify details about the inclusion of its content in search engines. For this reason the content will be included by search engines.